Anyone could tell me why man stay so? If you say yes, they must say no. Playing dead to catch corbeaux. But he leave her dry dry cause he mother say so. Moms say she too dark, she can’t raise the blood. She sanction a reds who bring her son low. she take house, child and put him outta road. But getting him to marriage was like making it snow. He play dead to catch corbeaux. the ink still wet, but was blow after blow. but using concealer and calling it ‘glow’. Playing dead to feed corbeaux. She pack a bag, he lock the door. Leaving the dead to catch corbeaux. You preferred the scars you could control. and women to arms in Murray Street night. a flash of fierceness than of joy. Vanessa, did they ambush you? Did they feed you with the left hand? bad mind into a calabash? like refuse down a precipice? still armoured into your skin. to force your skin to rot and run. until your life was sung. Trinidad and Tobago Newsday, Tuesday October 11, 2016—The decomposing body of a woman found yesterday at the bottom of a precipice off Morne Coco Road, Maraval, has been identified as 28-year-old Vanessa Roxanne ‘Buffy’ Ackie. Police believe the woman, who was known to work on Murray Street, Woodbrook, was murdered and her body dumped in the bushy area. along a rutted country road. withered quickly as your house emptied. All your plants and hedges are gone. how to reap peace from grief. The cutter drum leading the way. Desiree Seebaran is a Trinidadian poet, writer & editor. 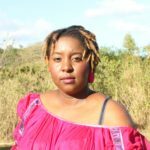 She is an alum of the Cropper Foundation Residential Workshop for Writers (2010) and the inaugural Moko Magazine Poetry Masterclass (2018). Her work has been shortlisted for the 2014 small axe literary competition (poetry). She’s also been published in the Cordite Poetry Review 81 (May 2017) and shortlisted in Frontier Poetry’s Award for New Poets Contest 2017. In 2019, her poems “The Sweetest Horn” and “Bone” were published in Interviewing the Caribbean journal, and an earlier version of her chapbook manuscript Canal Water was chosen as one of three highly commended entries by judge Amy Wack in the 2018 PBS & Mslexia Women’s Pamphlet Competition.